The final dialogue is about copying the settings from your existing parking sites. Obviously, if you are creating your first parking site, you will not see this popup. A parking site has lots of features and hence you will be able to configure it the way you want. 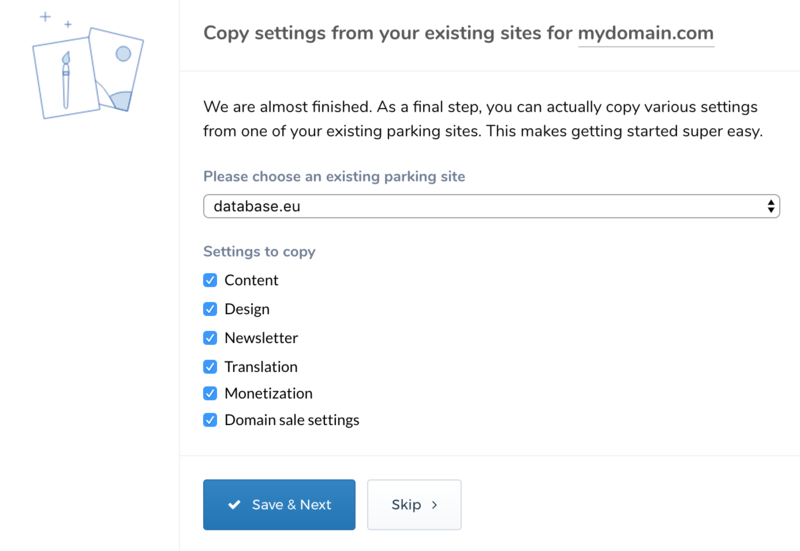 However, if you wish to quickly get started, you can copy settings from your existing parking site. Once you're finished, your parking site should now be ready. There are still lots of things you can explore to get the most out of your site. We strongly recommend that you go through each option available and also go through this documentation to be familiar with the parking site. That way, you will truly be able to realise the full potential of your domain.